In a world dominated by computer depended DJ controllers, we find out what the best all-in-one DJ system is today. Usually, these systems are midi capable DJ controllers as well, but the focus is mainly on the standalone aspect. Most of them still carry CD decks, but the tendency is to move more and more to USB support only. Why a standalone DJ system and not a midi DJ controller? In many cases, DJs are hesitant to bring their expensive MacBook Pro’s into a greasy DJ booth, for understandable reasons. Also being able to read track information directly from the deck screens in front of you instead of looking at the laptop screen helps to connect with your crowd. You might look for Gemini’s upcoming SDJ-4000 in this list, but since it’s not been released yet I didn’t add it. But as soon as it’s out, this guide will be updated! Let’s have a look at a few units that are available on the market today. 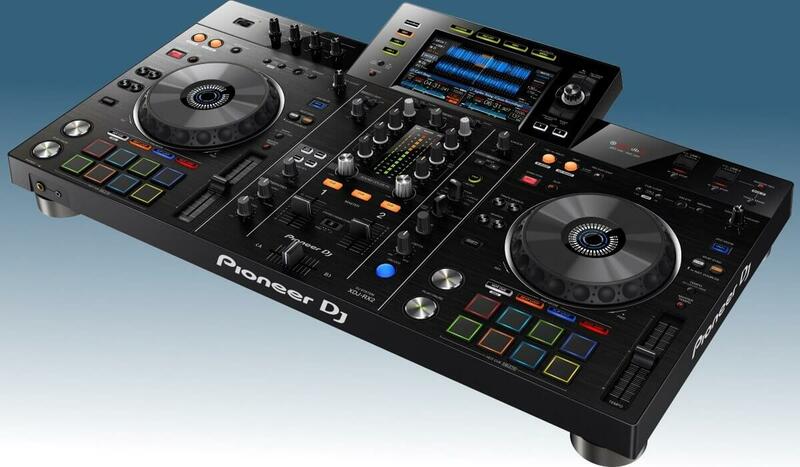 Pioneer DJ XDJ-RR: A very good all-in-one DJ system, with all the essential features and at a very good price. Numark Mixdeck Express: A very good all-in-one DJ system, with all the essential features and at a very good price. Gemini GMX Drive: The Gemini GMX Drive is a well-featured all-in-one system, with notably 8 performance pads per deck. Gemini CMDP-7000: Designed to resemble two Pioneer CDJ players and a mixer, the CDMP-7000 carries a lot of features for the asking price but is the quality on point? Pioneer DJ XDJ-R1: One of the first XDJ players from Pioneer DJ on the market, the XDJ-R1 is well equipped and affordable. 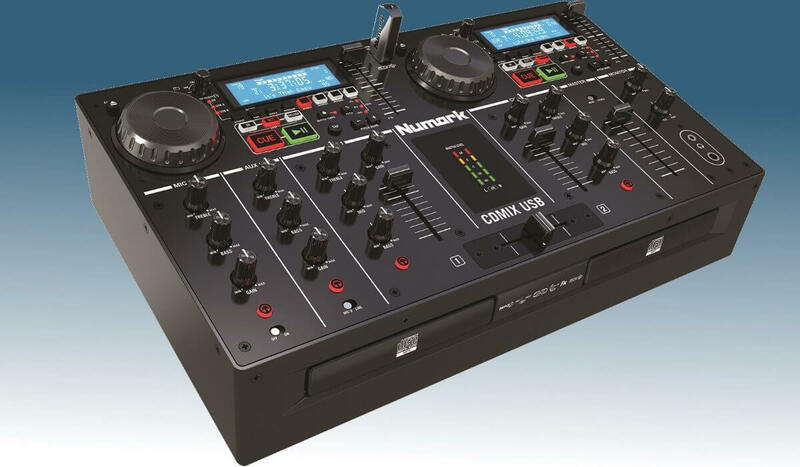 Numark CDMIX USB: The CDMIX USB is a sturdy, basic player that can play from CD and USB. The Denon DJ Prime 4 is the ultimate all-in-one media player. With 4 channels, a large touchscreen, 8 performance pads per decks and a very reasonable price it really puts Denon DJ on the map in the all-in-one DJ system market. More information: Review coming soon! The Denon DJ Prime 4 was the star of Namm 2019, and with good reason. The unit is so packed with features that it’s hard to point out just a few, but let’s go for the key ones. First of all, the screen is absolutely great. It’s large, and it has the same tech as the one in the SC5000 players: gesture support, multitouch… Some might be put off by the vertical waveforms, but I guess Denon DJ can add horizontal waveforms in a software update if the demand would be high. The decks are a joy to use, and I love the small details: the small screen on top of each effect, which makes it so so easy to know what each knob is set to exactly. Also, the fact that the effects are built into each deck instead of the mixer makes the transition for controller DJ’s much easier and frees up space on the mixer so the channels and knobs can have more room in between them. The pads are fantastic and feel exactly the way performance pads should feel: ultra responsive and perfect for advanced tricks. On the input/output side, the Prime 4 is very well equipped. Dual master output, booth output, zone output (which is an extra master output, with its own dedicated channel separated from the master output), RCA inputs for each channel, 2 mic inputs… And all that for USD 1699. 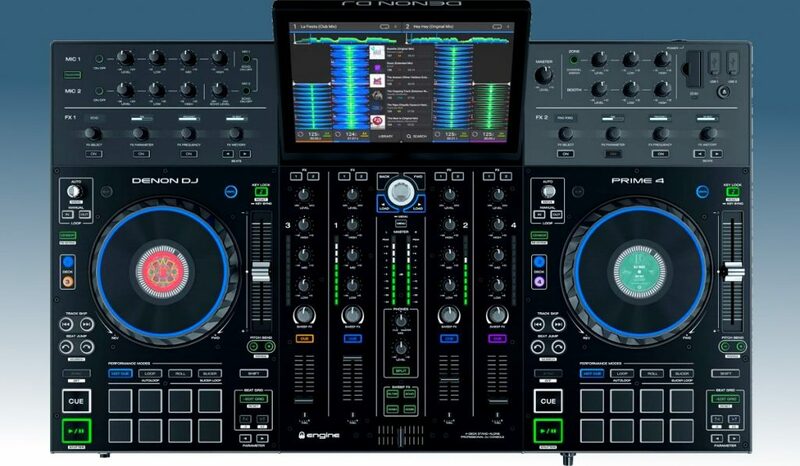 This is a beast, and Pioneer DJ better come up with an answer! Too much of a compromise? 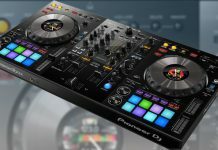 The Pioneer DJ XDJ-RX2 looks on the first inspection like it belongs in Pioneer DJ’s DDJ family of DJ controllers, but looking closer reveals this is really in the first place a media player, hence the XDJ denomination. It has a big, high-resolution touchscreen above the mixer, that displays all necessary track information and waveforms. 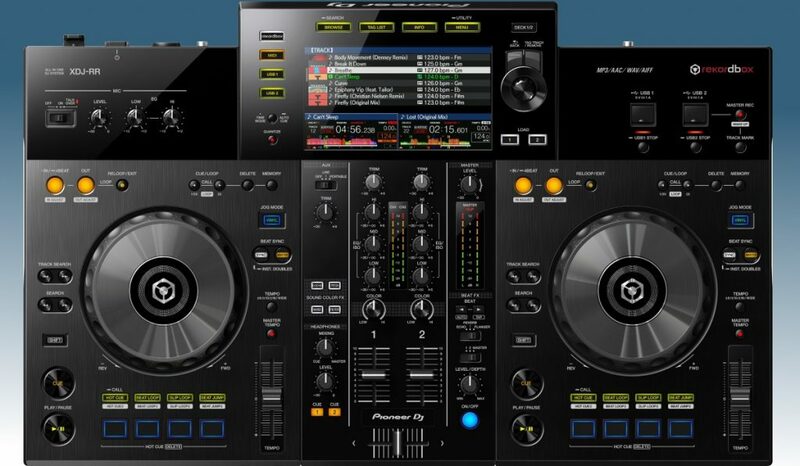 The decks contain the usual controls found on Pioneer’s CDJ/XDJ units, such as looping controls, a big jog wheel similar to the one found in the DDJ-RX. Additional to that, it has 8 performance pads per deck for auto loops, hot cues, and loop slicer. 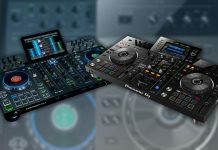 The mixer has sound color effects build additional to a full-blown FX module, much like on other Pioneer DJ DJM mixers. It has 2 channels you can connect turntables to each channel if you prefer using those over the built-in decks. The XDJ-RX doesn’t come cheap, but on the other hand, any combination of CDJ/XDJ media players with a DJM mixer will be (much) more expensive. Plus here you get “controller” like features, like the performance pads on each deck. Finally, the fact it will also work as a midi controller for Rekordbox DJ is a big advantage of the XDJ-RX2. 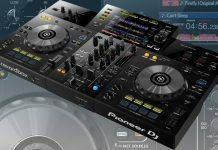 The Pioneer DJ XDJ-RR is a great alternative to the bigger and better XDJ-RX2 if your budget doesn’t stretch that far. 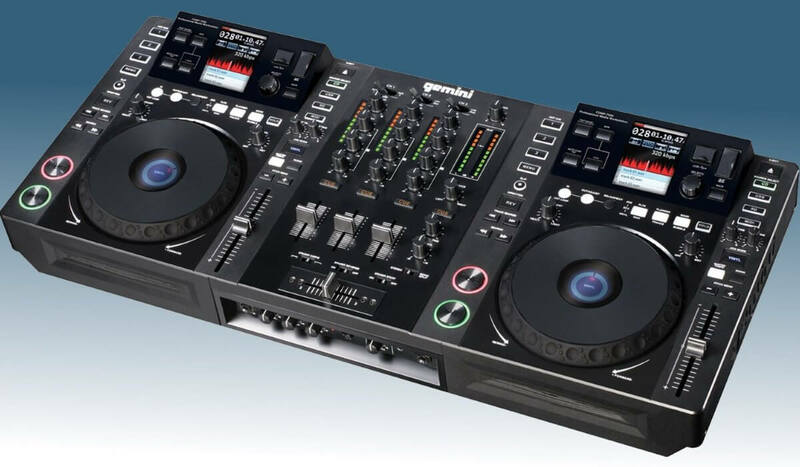 There are a few compromises, such as the fact the XDJ-RR doesn’t have a touchscreen, the 4 pads per deck instead of 8, the limited amount of effects on the mixer and the smaller jog wheels. But it does have everything you need to perform, in your bedroom or in the club. For USD 1000, you get a full Rekordbox system, and that’s a lot for your money. Sure it’s more expensive than a typical DJ controller for beginners, that falls in the USD 250 – 300 price range, but you do get a full, standalone Pioneer DJ system in exchange, no laptop needed. More information: Full review coming soon! The Numark Mixdeck Express is a standalone DJ system with large jog wheels, 3 channel mixer and 1 screen per deck that displays basic track information. The mixer’s third channel is switchable between AUX and a microphone input. On the back, you will find XLR and RCA outputs, and AUX and microphone input. 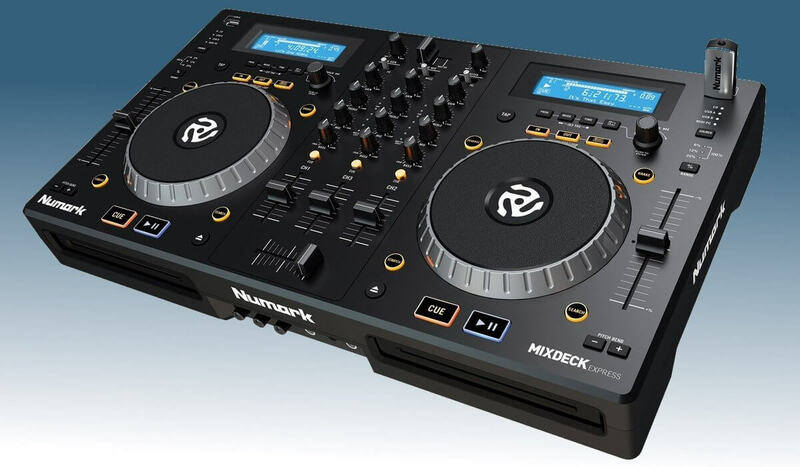 The Numark Mixdeck Express accepts USB sticks and CDs. The onboard screens are very basic but do display everything you need regarding your tracks. Overall, the Numark Mixdeck Express is a good solution for mobile DJ’s that don’t need the latest technological gimmicks. It will get the job done, and for approx. USD 600, it’s a good value for money. Everything you need in an all-in-one DJ system at an unbeatable price. Performance pads are a nice addition. The Gemini GMX Drive has not received much attention in the dedicated press, and that is a shame. There is much to like here, such as the flat spacious jog wheels, the 8 pads per deck and the high contrast screens that show rough waveforms and other track information. It plays CDs or USB, and it can also function as a midi controller for Virtual DJ. It won’t be the unit that has the best sound or is build to the highest standards, but if you need an all-in-one DJ system and you are on a tight budget, this unit is worth your consideration, especially since it sells for approx. USD 340. The Gemini CDMP-7000 emulates a Pioneer DJ DJM/CDJ setup at a fraction of the cost. and rear XLR-1/4" combo mic input with dedicated level control. Outputs: Dedicated Master, Booth and Record Stereo outputs. Pro inputs and outputs on the back. The screens are rather small, operating them (as they are touch enabled) can be a hassle. 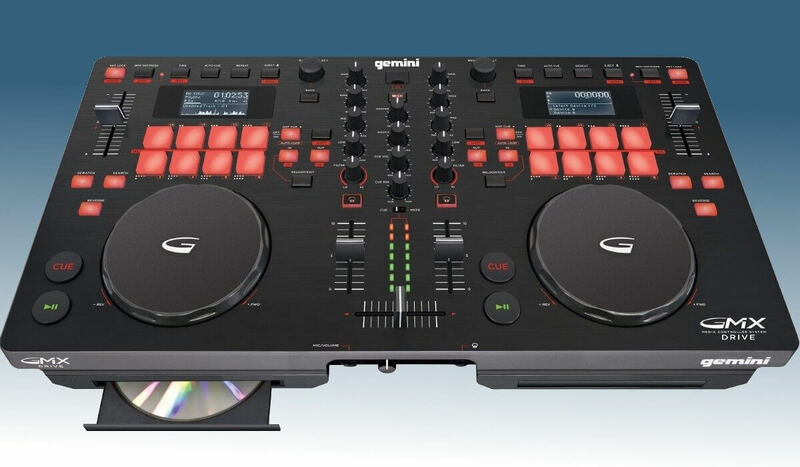 The Gemini CDMP-7000 is fully featured professional DJ media controller, and it does offer a lot of value for your money. At approx. USD 600, it’s hard to find a better deal. Considering the unit came out over 4 years ago, it has held up surprisingly well over time. So what is the catch? Well, even it mimics the Pioneer DJ gear look, it’s not Pioneer DJ. If you can get over that fact, the CDMP-7000 has a lot of functionality to offer: bright touch screens for each deck that shows a lot of information, support for CD’s, USB’s and SD cards, a 3 band mixer, external inputs for each channel, and much more. Another Numark Product worth mentioning here is the Numark CDMix USB a very compact “traditional” double CD player with rudimentary screens and jog wheels. It does support USB sticks, so you can play your MP3 without having to burn them to CD. The great advantage of the CDMix USB is its compact size and solid build. This is the kind of gear you want in small bar booths. Also, if you have a huge collection of CDs that you don’t want to replace or transfer to USB, this a good option.